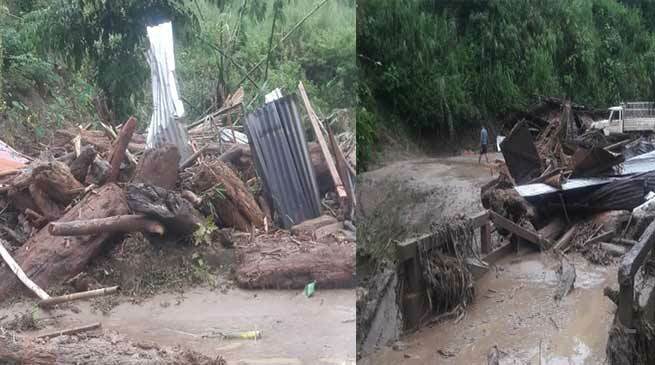 4 lakhs each to the deceased of landslide and flash flood deceased is not sufficient instead an amount of rupees 10 lakhs each- NESA. Nyishi Ethnic Students’ of Arunachal (NESA) demands immediate relief for flood and landslide affected people of the state to tackle the grave situation. NESA president Biri Chattum in a release said that the recent flood situation in various parts of the capital complex have created havoc among the residents, the relief provided by the state government and capital district administration is not sufficient and a lot more is needed. He said an amount of rupees 4 lakhs each to the deceased is not sufficient instead an amount of rupees 10 lakhs each to the deceased should be given. He further said that the state government should seek help from central government for the relief fund in case of natural disaster which have leaving behind trail of devastation in the state. NESA also appeal the administration and PHED department to immediately installed water supply and power supply system, and take steps for immediate relief and rehabilitation to the victims so that they can restart their livelihood. The release added. Even 10lakhs will be not sufficient. Actually its relief, not compensation.